Welcome to the fifth issue of our Scent newsletter. We hope you have had a wonderful summer. We are delighted to announce that our pilot campaigns have started! The first campaigns took place in the Danube Delta 12-20 August and in Athens 15-16 September. This edition of the newsletter will cover some of the highlights from our first campaign in the Danube Delta and our next newsletter will report on our Athens campaign and our remaining campaigns for 2018. The next Scent campaign will be held in Athens 9-11 November 2018, and you can get involved! Scroll down for details on how, when and where. Plenty of progress has been made across a range of project activities since we issued the last newsletter. 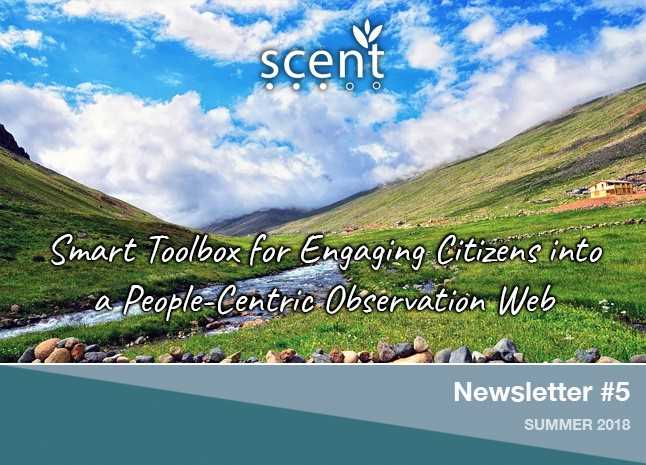 In this issue, we cover only pilot campaign news, but also updates on the Scent toolbox, the work we are doing together with other citizens’ observatories, our bespoke education programme and other dissemination updates. The Scent newsletter delivers regular updates on project progress, key developments, relevant events and ways to get involved, straight to your inbox. It is published four times per year, once every season. Remember to check out our website, follow us on Twitter, Facebook and Instagram, subscribe to our YouTube channel and connect with us on LinkedIn. Scent is a three-year project funded by the European Commission under Horizon 2020, the European Union’s Framework Programme for Research and Innovation. We hope you enjoy reading this newsletter and remember to join the Scent movement! “The first Danube Delta pilot campaign has passed and it was amazing. 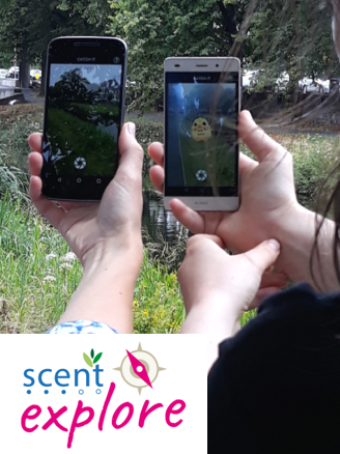 Every year Scent partner SOR organises an expedition in the Danuve Delta and this year the expedition included testing the Scent Explore app. On 12 August, around 100 participants arrived from all over the country at the campsite, near Lake Fortuna (Some travelled about 14 hours!). There they received camp instructions, a quick introduction to the Scent project and settled down for the beautiful days to come. As the first campaign was focused on land cover, every day a group of 10-20 participants was taught how to play the game, by capturing virtual animals and tagging the land cover of the picture taken in the process. The participants navigated the Danube Delta for about five hours, exploring its small and big canals, forested and reed areas, hidden lakes, and, of course, spotting some birds! Although sandwiches were provided for the trip participants were also received in the camp with a delicious soup. The next step was to charge the phones and upload the many pictures taken (in total, close to 4,000! ), to then join many of the other activities in the camp, such as painting, learning about reptiles, etc. The nights were always animated with music and singing by a campfire. We are proud to present the Scent Toolbox! 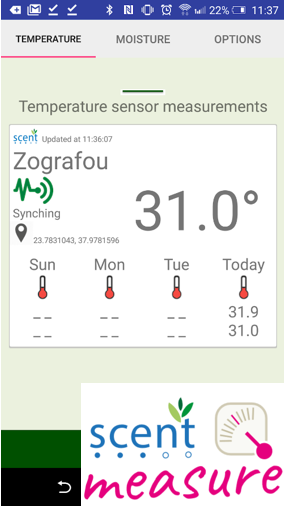 The Scent team has developed a toolbox consisting of a set of smart collaborative technologies designed to involve citizens in environmental monitoring. The toolbox allows for dynamic and accurate monitoring of changes in land cover and land use. We can use the collection of Scent tools to gather data on changes in our landscapes, which in turn will allow for improved mapping of the environment to help prevent flooding and other natural disasters in the future. The toolbox includes public-facing data collection applications, an innovative crowdsourcing platform, a serious gaming application, a powerful intelligence engine for image and text classification, an authoring tool that allows policy makers to create and manage data collection campaigns, flood models that facilitate the measuring of flood risks, and a harmonisation platform that consolidates the collected data and enables it to be shared with national and global open-access databases. We have developed a Scent education programme! The programme has been designed to introduce 11–12-year-old school students to the importance of environmental monitoring. The programme focuses on the significant role that each individual student plays in making a difference to the environment. The programme engages students in local, national and international environmental issues and equips them with the necessary skills to observe, monitor and take action in their own environments. Through participation in the programme, students become active citizen scientists in their own environment. The developed material is compatible with current curricula and can be implemented seamlessly in schools. The series of lessons can easily be incorporated into the science and geography teaching. The programme is designed to provide meaningful opportunities for cross-curriculum integration at the same time as meeting the learning objectives and developing required skills across subject areas. Are you interested in finding out more about the different aspects of Scent and the results and achievements? 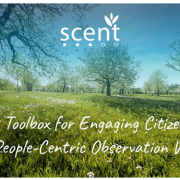 Scent works closely with the other citizens’ observatories (COs) projects funded under the EU’s H2020 programme to find synergies and bring together results that can be disseminated together. 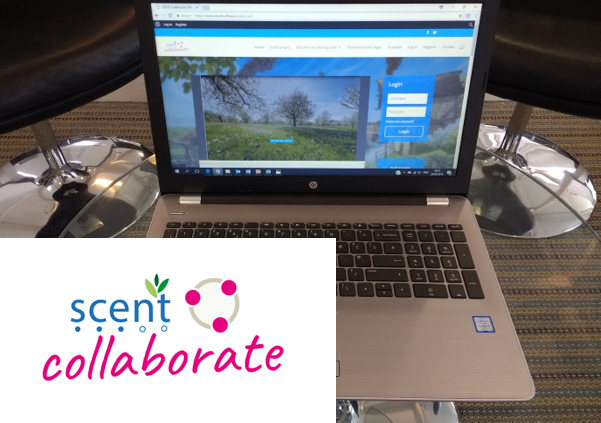 Together with the COs LandSense, Ground Truth 2.0, GROW and the coordination and support project WeObserve we share our dissemination expertise, work together towards a common goal, build on each other’s ideas and constantly learn something new. 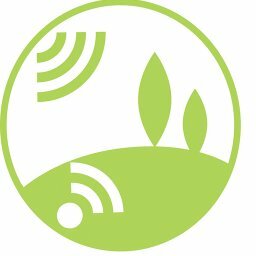 We take part in the Common Dissemination Booster, a service managed by the European Commission that encourages projects to come together as groups to identify a common portfolio of results advises on how best to disseminate to end-users, with an eye on exploitation opportunities. 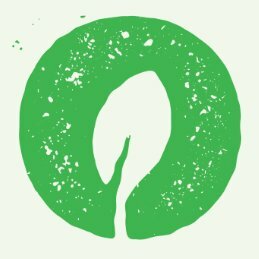 Each CO aims to demonstrate the significant potential of an active citizen observatory and validate this concept under real life conditions. The focus of these innovative activities is on enhancing the management of our natural resources, especially land cover and land use issues, through more collaborative approaches. 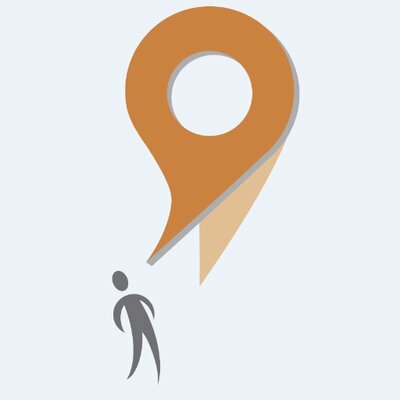 Interested in H2020 projects on citizens’ observatories? 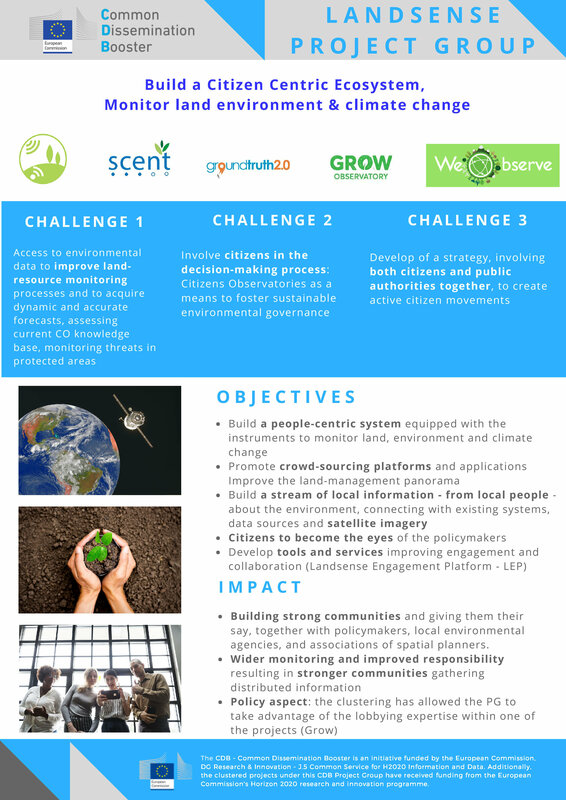 Have a look at what our fellow H2020 citizens’ observatories projects GROW, LandSense and GT2.0 are up to. Copyright © Scent 2018 All rights reserved. This project has received funding from the European Union’s Horizon 2020 research and innovation programme under grant agreement No 688930. This project has received funding from the European Union’s Horizon 2020 research and innovation programme under grant agreement No. 688930.